Leonard Joseph "Len" Cariou OC OM (born September 30, 1939) is a Canadian actor, best known for his portrayal of Sweeney Todd in the original cast of Sweeney Todd: The Demon Barber of Fleet Street, for which he won the Tony Award for Best Actor in a Musical, and for playing the patriarch Henry Reagan, NYPD Police Commissioner (retired), in the multi-generational television series Blue Bloods on CBS. Born in St. Boniface, today a city ward of Winnipeg, and later moving to East Kildonan, Manitoba, Cariou is the son of Molly Estelle (née Moore) and George Marius Cariou, a salesman. His father was Breton and his mother was of Irish descent. Cariou attended Miles Macdonell Collegiate for grades 10 and 11 where he directed and starred in the school plays, and he later attended St Paul's College. Cariou made his first appearance in Damn Yankees at Rainbow Stage in Winnipeg in 1959, and was a founding member of the Manitoba Theatre Centre. He was offered a scholarship at the National Theatre School of Canada in Montreal but, married with a young child and financial responsibilities, he was forced to decline the honor. Instead, he learned his craft by spending two years at the Stratford Shakespeare Festival Stratford, Ontario, and returned in 1981 to lead the company as Prospero, Coriolanus, Brutus, and Petruchio. Cariou also became a lead actor at the Tyrone Guthrie Theatre in Minneapolis in the 1960s, where he played Orlando in As You Like It, Agamemnon in Tyrone Guthrie's compilation of The House of Atreus, Iago, Oberon, and the title roles in Henry V and King Lear. He was also an associate director. In 1968, Cariou made his Broadway debut in The House of Atreus. Two years later, Cariou landed his first starring role opposite Lauren Bacall in Applause, a musical adaptation of the film All About Eve. It earned him a Tony Award nomination as Best Actor in a Musical and won him the Theatre World Award. In 1973 he garnered his second Tony nod for A Little Night Music; he reprised the role of Fredrik for the 1977 film version opposite Elizabeth Taylor. Six years later he won both the Tony and a Drama Desk Award for his portrayal of Sweeney Todd: The Demon Barber of Fleet Street in the Stephen Sondheim musical opposite Angela Lansbury. During these years, Cariou also appeared in a number of benefits, including A Christmas Carol for the Riverside Shakespeare Company in New York, playing Scrooge, with Helen Hayes, Raul Julia, and Mary Elizabeth Mastrantonio, directed by W. Stuart McDowell at the Symphony Space in 1985. 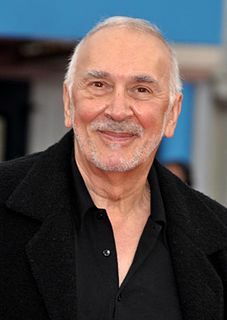 His next projects included the Alan Jay Lerner–Charles Strouse musical Dance a Little Closer (1983), Arthur Miller's sole musical, Up from Paradise (1983), Teddy & Alice (1987), and Ziegfeld (1988). Cariou also appeared on Broadway in Night Watch, Cold Storage, The Speed of Darkness, Neil Simon's The Dinner Party (with Henry Winkler and John Ritter) and Proof (with Anne Heche and Neil Patrick Harris). He directed Don't Call Back on Broadway as well. His off-Broadway appearances include Master Class, Papa (Ernest Hemingway one man show) and Mountain (Justice William O. Douglas). He appeared as Cap'n Andy in the Broadway national tour of Show Boat opposite Cloris Leachman. Regionally, Cariou has starred in myriad productions at theatres throughout North America, including The Kennedy Centre, the Mark Taper Forum, Lincoln Centre, the Long Wharf Theatre and the Old Globe. He has played the title role of Macbeth for Toronto Arts Productions, and Richard Nixon in Frost/Nixon for Canadian Stage in Toronto. He has appeared multiple times throughout his career at the Manitoba Theatre Centre. Cariou appeared at The Geffen Theatre as Joe Keller in a notable production of All My Sons, a role he reprised in 2009 at the Gate Theatre in Dublin, where it was the longest running, highest grossing run of a play in that theatre's history. He also appeared at The Geffen in Neil Simon's Rose and Walsh and Heroes with George Segal. From 1985 to 1992, Cariou was seen on multiple episodes of the popular television mystery series, Murder, She Wrote opposite his good friend and former Sweeney Todd co-star Angela Lansbury. Cariou portrayed the recurring character of Michael Hagerty. Hagerty was an Irish international man of mystery who worked as a secret agent for British MI-6. He would get Jessica Fletcher (Angela Lansbury), the title character of the show, involved in mysteries involving international intrigue. In 1993, Cariou was in the made-for-TV movie Miracle on Interstate 880. He played Buck Helm. In 1995, Cariou became the first actor to portray Walt Disney in the Annette Funicello biography A Dream Is A Wish Your Heart Makes: The Annette Funicello Story based on her book of the same name. In 1997 Cariou appeared in the Star Trek: Voyager episode "Coda". He appeared to Captain Kathryn Janeway as an alien disguised as her deceased father, Admiral Janeway. In 2010, Cariou appeared as Madoff-like Ponzi scheme man Louis Tobin in FX's drama Damages, the main antagonist in season three. Cariou has appeared in episodes of The West Wing, Law & Order, The Practice, and The Outer Limits. He had a continuing role in 2006–2007 as power broker Judd Fitzgerald in the Showtime series Brotherhood. He currently appears as Henry Reagan, the former NYC police commissioner and patriarch of the current commissioner's family, on Blue Bloods. Cariou's film credits include One Man, Flags of Our Fathers, About Schmidt, Thirteen Days, The Four Seasons, the Harold Prince-directed screen adaptation of A Little Night Music with Elizabeth Taylor, and Secret Window in which he starred alongside Johnny Depp, who would later go on to play Sweeney Todd in Sweeney Todd: The Demon Barber of Fleet Street, the Tim Burton-directed musical based on the Broadway show. He played the father in the 2007 film 1408, and the nominal lead role in The Onion Movie, based on the satirical newspaper. In 2018 he starred alongside with Bruce Willis in Death Wish as Dr. Paul Kersey's father-in-law. Cariou narrated Major League Baseball's World Series films from 1992 to 1997. He has recorded a number of books, including several by Michael Connelly, for audiotape release. He also narrated the 1989 Academy Award-winning documentary The Johnstown Flood. In 2009, Cariou portrayed Franklin D. Roosevelt in the HBO movie Into the Storm, earning an Emmy nomination for Outstanding Supporting Actor in a Miniseries or a Movie. He played an American naval officer in 2013’s den Orolige Mannen (the Troubled Man), adapted from one of Henning Mankell’s Kurt Wallander novels. More recently, Cariou portrayed Cardinal Law in Spotlight, which won the Academy Award for Best Picture of 2015. He also starred in the short play Happy Birthday, Mr. Abernathy by Lloyd Suh for a public radio show and podcast, Playing On Air. In 2004, Cariou was inducted into the American Theater Hall of Fame. On June 23, 2012, Cariou was honored by having his name added to the Miles Macdonell Collegiate Alumni of Distinction, for his contribution to theater and arts. His introduction to the theater started with a starring role in the school production of The Pirates of Penzance. He holds the Order of Manitoba and has been invested with honorary degrees from the University of Windsor and the University of Winnipeg. On December 27, 2018 Julie Payette, Governor General of Canada, announced that Cariou would be one of 103 recipients becoming an Officer of the Order of Canada for his achievements as an actor of stage and screen, and for his commitment to Canadian cultural institutions. 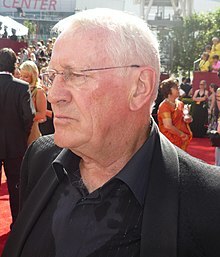 ^ "Len Cariou Biography (1939-)". Film Reference.com. Retrieved 6 September 2016. ^ "Frost/Nixon star reveals hot-blooded past". Toronto Star. October 4, 2008. Retrieved 6 September 2016. ^ Lepage, Mark (December 7, 2010). "Winnipeg's Cariou takes pride in Manitoba Theatre Centre roots". Winnipeg Free Press. Retrieved 2016-11-23. ^ "Celebrity Reading of 'A Christmas Carol'", The New York Times, November 23, 1985. ^ PlayingOnAir (2014-12-08). "Len Cariou". Playing On Air. Archived from the original on 2016-08-08. Retrieved 2016-08-04. ^ Rawson, Christopher (January 25, 2005). "Stage veterans receive praise at induction". Pittsburgh Post-Gazette. Retrieved January 2, 2018. 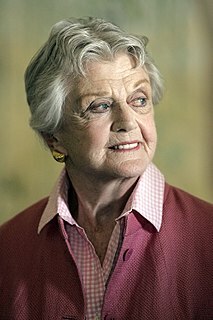 Dame Angela Brigid Lansbury is an English-Irish-American actress who has appeared in theatre, television, and film. Her career has spanned eight decades, much of it in the United States, and her work has attracted international acclaim. Saint Boniface is a city ward of Winnipeg that is the centre of much of the Franco-Manitoban community. It features such landmarks as the St. Boniface Cathedral, Boulevard Provencher, the Provencher Bridge, Esplanade Riel, St. Boniface Hospital, the Université de Saint-Boniface and the Royal Canadian Mint. It covers the southeast part of the city and includes le Vieux Saint-Boniface, Norwood West, Norwood East, Windsor Park, Niakwa Park, Niakwa Place, Southdale, Southland Park, Royalwood, Sage Creek and Island Lakes, plus a large industrial area. The ward is represented by Matt Allard, a member of Winnipeg City Council, and also corresponds to the neighbourhood clusters of St. Boniface East and West. The population was 54,201 according to the Canada 2011 Census.